Harold Lloyd was one of the “Big 3” comedy stars of the Silent Era, right up there with Charlie Chaplin and Buster Keaton in popularity. I’ve viewed and enjoyed comic gems like SAFETY LAST and THE FRESHMAN, and some of his hilarious shorts. His bespectacled, energetic character was wildly popular in the Roaring Twenties, but with the advent of sound and The Great Depression, audiences turned away from Harold’s brand of comedy. 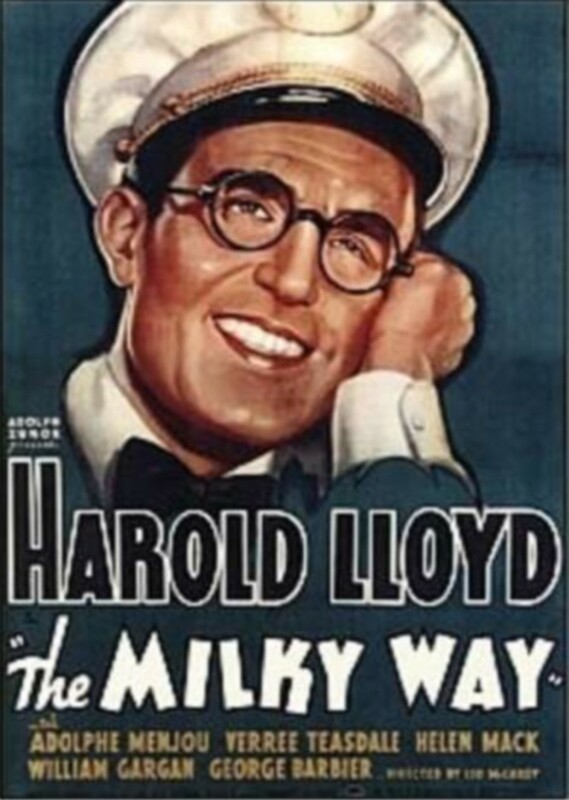 Recently, I watched 1936’s THE MILKY WAY and wondered why they did, because Harold Lloyd was just as funny as ever in it, and the film is just as good as any screwball comedy of the era. The 1937 film Stage Door is a great example of a unique genre of American film, the Katharine Hepburn Gets Humbled genre. In the 1930s, Katharine Hepburn went through a period of time where she was considered to be “box office poison.” She was undeniably talented but it was obvious that the studios weren’t sure how to showcase that talent. They put her in high-brow films that often did not have much appeal to audiences. As well, the press hated her. Katharine Hepburn was outspoken, she was confident, she was a nonconformist, and, too many, her refusal to do interviews and sign autographs marked her as a snob. Very few people wanted to see a movie starring Katharine Hepburn and therefore, very few people were willing to make a movie starring Katharine Hepburn. Of course, Terry isn’t the only actress at the rooming house who has issues to deal with. For instance, Judy Canfield (Lucille Ball) has to choose between pursuing her career or getting married and starting a family. Kay (Andrea Leeds) is a once successful actress who is now struggling to find roles, can’t pay her bills, and has become suicidal as a result. And then there’s Jean (Ginger Rogers), Terry’s cynical roommate and frequent enemy and occasional friend. Jean is falling in love with Anthony Powell (Adolphe Menjou), the lecherous producer of Terry’s play. Stage Door is a wonderfully entertaining mix of melodrama and comedy. You’ll laugh, you’ll cry, and you’ll really find yourself hoping that all of the actresses at the rooming house will have their dreams come true. While the film is dominated by Hepburn and Rogers, it truly is an ensemble piece. Not only does the cast include Eve Arden, Lucille Ball and Andrea Leeds (giving the film’s best and most poignant performance) but the great dancer Ann Miller appears as Jean’s equally cynical best friend. Stage Door may be 79 years old but it’s aged wonderfully. At the box office, Stage Door was a modest success and it directly led to Hepburn being cast in the classic screwball comedy, Bringing Up Baby. Stage Door was nominated for best picture but it lost to The Life of Emile Zola. When I first saw the red neon of the opening credits of the 1937 best picture nominee, A Star Is Born, I thought to myself, “This is a real movie movie.” And I was so impressed by that thought that I even jotted it down in my review notes and now, looking down at my notes, I’m struggling to figure out how to explain just what exactly it was that I meant. It’s a familiar story that, if I may indulge in a cliché, as old as the movies. Esther is a girl who lives on a farm in North Dakota and she wants to be a star, despite being told by her aunt that she need to start concentrating on finding a man and having children. Esther’s grandmother (Fay Robson) tells Eleanor to pursue her dreams and loans her some money to take with her to Hollywood. With stars in her eyes, Esther goes out to California and deals with rejection after rejection. (She does, however, manage to rent out an apartment. The weekly rent is $6.00.) Esther does befriend an assistant director (Andy Devine) who gets Esther a job as a waitress at a party. As Esther serves the food, she imitates everyone from Katharine Hepburn to Mae West, all in an attempt to get noticed. And, amazingly enough, it works! She meets film star, Norman Maine. With Norman’s help, she gets her first screen test and, after her name is changed to Vicki Lester, Esther is put under contract to a studio. She and Norman also fall in love and soon end up married. However, while Vicki Lester is rising to stardom, Norman is descending into irrelevance. He’s an alcoholic who has managed to alienate almost everyone in Hollywood. 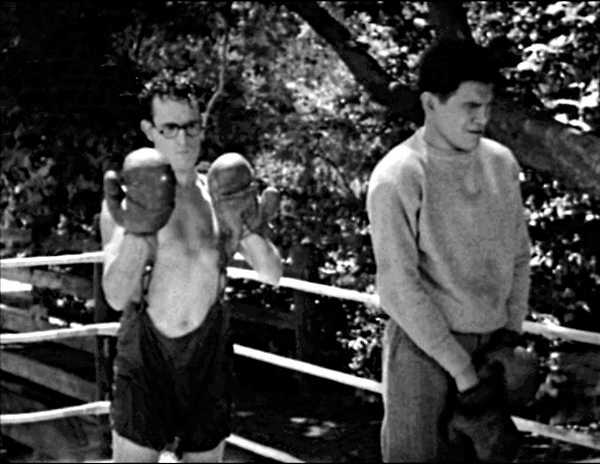 When Vicki wins her first award, Norman shows up at the ceremony drunk and destroys what little is left of his career. Will Vicki be able to save Norman from his demons? And will she be able to do so without destroying her own career? Well, you probably already know the answer. A Star Is Born is one of those stories that everyone seems to know, regardless of whether they’ve actually seen the film or not. (And even if they haven’t seen the 1937 version, chances are that they’ve seen one of the many remakes or ripoffs.) The original Star Is Born is an undeniably familiar and old-fashioned movie but it holds up as a celebration of both old Hollywood glamour and a heartfelt romance. And it’s in the public domain! Watch the original A Star is Born below! As part of my efforts to watch every film ever nominated for best picture, I recently watched 1931’s The Front Page (which lost to Cimarron, the first western to ever win best picture). The Front Page, which is based on a broadway play by Ben Hecht and Charles MacArthur, is the story of Chicago newspaper editor Walter Burns (Adolphe Menjou) and his favorite reporter, Hildy Johnson (Pat O’Brien). Hildy is planning on retiring from the newspaper business so he can get married and take a job in advertising. Walter is determined to keep his star reporter. Walter’s attempts to keep Hildy from quitting are played out against a larger background of civil corruption, cynical reporters, and an escaped death row inmate who ends up hiding out at the newspaper. It’s odd to watch a film like The Front Page today. It’s not just the fact that the movie is technically primitive but that the film is such a product of its time and a lot has changed since 1931. This is one of those old films where African-Americans are continually referred to as being “colored” and the modern-day audience cringes in discomfort and tries to figure out the correct way to react. As a reviewer, I guess I’m supposed to explain how you should react but I really can’t say. Personally, I look at a film like this as a reflection of its time and the casual, unthinking racism that was a part of the culture back then. Then again, I’m not the one being called “a pickaninny.” This is also another one of those old films where women are presented as distractions and the only work that’s worth doing is man’s work. Oddly enough, the sexism didn’t surprise me as much as the racism. Then again, sexism is still socially acceptable while our modern, patriarchal society now insists that people, at the very least, pretend not to be racist. 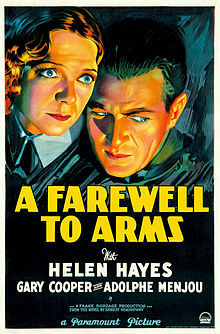 Still, as dated as many of the film’s attitudes may be, the movie’s cynicism and it’s portrayal of journalists as essentially being a bunch of biased, blood-sucking leeches does give the film a slightly more contemporary feel than most films from the 30s. As Hildy and Walter, Pat O’Brien and Adolphe Menjou are both well cast and the rest of the film’s characters are played by a strong collection of character actors. A surprisingly large amount of the cynical one-liners still work and, once you get used to the film’s pre-CGI style of filmmaking, it occasionally show some genuine visual flair. Personally, I think that The Front Page makes a lot more sense once you acknowledge the unstated fact that Walter and Hildy are former lovers. Hollywood realized the same thing because The Front Page was later remade as His Girl Friday with Rosalind Russell taking over the Hildy Johnson role.